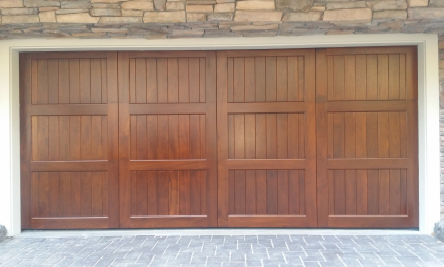 A garage door has a huge impact on your Cameron Park home. It is the largest moving part of your home and it is more than just a door. It is the second front door of your home that also should enhance the curb appeal, energy efficiency, and security for your Cameron Park home. That is why you should never trust in just anyone for your garage door repair, replacement and installation needs. Our garage and overhead door experts at American River Overhead Door, Inc. are proud to remain the very best in the Cameron Park overhead door industry since 1987. We provide garage and overhead door services to homeowners and commercial properties throughout Cameron Park and the Tri-County area. We employ some of the most experienced, professional, and courteous technicians in our specialty. Our team of garage door technicians will repair all your broken springs, openers, and doors. Below we have summarized our garage and overhead door services. If you are in the Cameron Park area and are in need of garage door repair, installation or replacement, feel free to contact our office at 530-676-8778 or 916-965-7738. It is a matter of fact the timing is never good when your garage door breaks down. You were probably on your way to take the kids to school, in a rush to get to work, or it's a Saturday afternoon and you have got a million errands to run. Who has time to sit around the house and wait for a repairman? No need to worry because our garage door repair team at American River Overhead Door, Inc. have got you covered. Whatever the problem is with your overhead door we would like to help repair your garage door and solve the issue as quickly and painlessly as possible. We know how important it is to have access to your garage so let us take care of you and get your garage door repaired today so that you can get on with your daily activities. 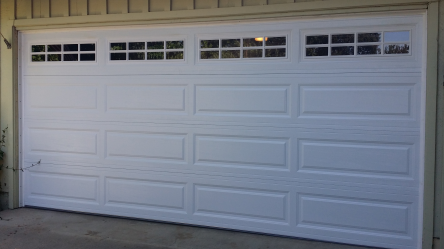 If you are in the Cameron Park area, please contact American River Overhead Door Inc. for any and all of your garage door repair needs. Do you need a garage door for your Cameron Park home? When you are ready to give your home a makeover, American River Overhead Door, Inc. has the highest quality garage doors from such manufacturers such as Doorking, Liftmaster, CHI, Porvene and Elite. Our garage door installation experts can install new garage doors, garage door openers, and garage door accessories to enhance your homes value. We provide the best value for all garage door related products and service, and use only the most dependable parts. It is also important to install safety features on your garage door. Safety features such as alarms and locks prevent thieves and trespassers from entering your home through the garage door. At American River Overhead Door, Inc. we offer a line of heavy-duty commercial doors for your warehouse, store, school, church, hospital, restaurant or specialty application. Our doors are designed for durability and smooth operation and are engineered to endure heavy commercial use that is protected with a 10 year limited warranty. In addition, our line of sectional steel products include one of the industry's most complete selection of panel profiles, gauges, track styles and hardware for commercial sectional door systems. If you are an industrial property owner in the Cameron Park area, our heavy duty the rolling steel door is your solution. From standard service doors to rolling fire doors we have a door sure to meet your needs. For further details regarding our commercial doors please tour the commercial page of this site or contact our office. It may be that no other part of your business experiences as much wear and tear as your overhead garage door. The average garage door will go up and down more than a thousand times a year. When kept in good working order, it provides convenience and security. But a neglected door can not only become noisy it can also become defective costing your company money. Whether it is lost heat because the door is stuck open or lost revenue because the company vehicles are trapped, an annual inspection and maintenance check of your overhead doors can pay for itself. American River Overhead Door, Inc. offers convenient preventative maintenance contracts to fit your needs. American River Overhead Door, Inc. has been proudly serving customers since 1987. We take pride in our quick, courteous, and professional specialists who will repair your garage door problem. All of our garage door repair technicians are trained to meet our very high quality standards. We invite you to join our hundreds of satisfied customers that have trusted us for their garage door needs. If you are in the Cameron Park area and have questions or we can assist you in any way, please contact at American River Overhead Door, Inc. 530-676-8778 or 916-965-7738. Thank you for the opportunity to earn your business and we look forward to hearing from you soon. © 2015-19 American River Overhead Door, Inc. All rights reserved. Site designed by Brymels LLC.